For the best interaction with Android from your couch i suggest DroidMote, because with DroidMote, multi-touch is not a problem on TV. Note: The above is still the only one that works best for all 2015, 2017 and PRO models but not without bugs. Always look for one that is confirmed to work in your device model, get the most stable one you can find. 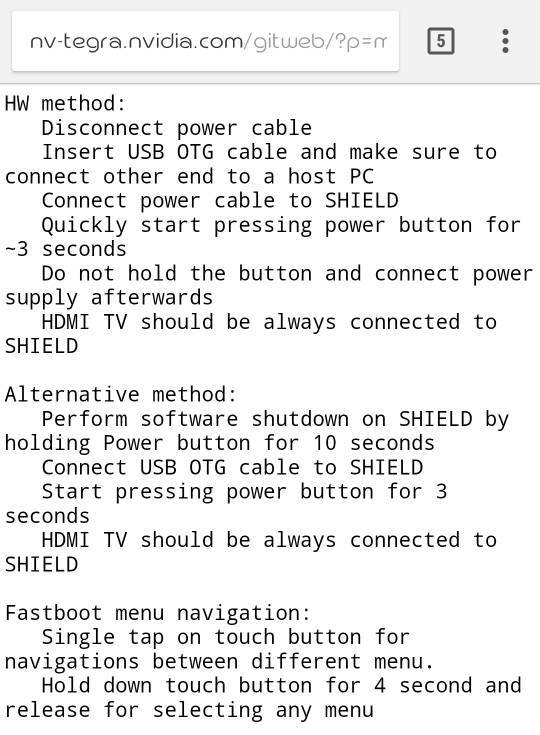 *** Once your Shield TV 2015 has upgraded to stock Nvidia Android TV Nougat, you CANNOT LONGER DOWNGRADE THE BOOTLOADER (blob file) to Marshmallow or older, otherwise you will HARD BRICK your device. While you DON'T FLASH WRONG BOOTLOADER and be able to boot into fastboot/bootloader mode, your device will be recoverable. Fix serious bug on wifi AC, now wifi AC is optimal. Added also full Android Settings, now we have both Settings. Android TV Settings and normal Android Settings. The new Settings fix many things and add many others options. In this forum we suggest to follow Nvidia procedures to upgrade, the bootloader should be changed only with those procedures, so in case of brick, the user can contact Nvidia to replace under RMA the defective device. They are good with RMA requests. sb_na_wf is the device code name of the Shield Tablet K1 that is also enabled for Nvidia Game Streaming. Once you make the changes, reboot your device and then go to the Play Store to download NVIDIA Games app which will bring Shield HUB/Geforce Now/Gamestream back. NOTE: It is better to use sb_na_wf (Nvidia Tablet K1) instead of "foster_e" for Shield TV 2015 or "darcy" for Shield TV 2017 because in that way the Play Store for Android TV version won't automatically install and stop working (won't open at all). The easy way: use Tile Root for Nougat and watch the following video to learn how to set it up to completely Go Full Screen by hiding status and navigation bars and optionally removing soft navigation bar to get rid of black/grey bars on apps that are unable to do so. Please Note that if you factory reset your device and want to remain rooted, then YOU'LL HAVE TO ROOT AGAIN as the reset will wipe it out aswell, that's because the root method is systemless so it installs in /data partition. By default the audio of phone calls and video calls is redirected to old controller headphones or to USB audio sound card. In some apps like Google Plus, Skype and others, mostly social network apps require a camera app to share photos and videos. You can install the app Open Camera to have these functionalities. You have to re-install (go back to) stock 3.x, download the OTA 5.x automatically and start stock Nougat. From stock Nougat, you can finally install Full Android Nougat. If you are on full Android Marshmallow, you can install the Stock Nougat OTA via TWRP ( TWRP for Marshmallow ) and ' Reboot to system '. 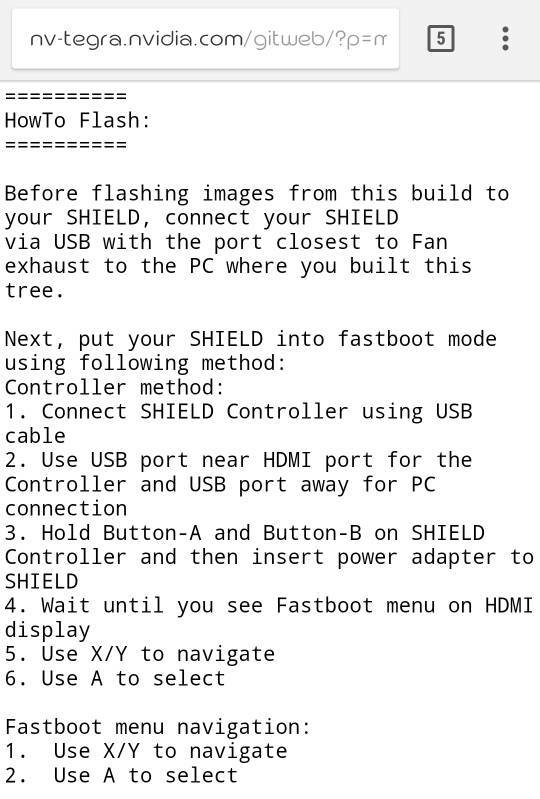 But ATTENTION: if for error you install the OTA of a Shield TV model different than yours, you will brick the device because the bootloader (blob file) is different. Awesome job zulu!! I have a 2017 16Gb, but can't wait to try it! loki495 wrote: Awesome job zulu!! I have a 2017 16Gb, but can't wait to try it! Is normal, SATV 16 GB 2017 work only with new Nougat boot images. All the things for Marshmallow are only for Marshmallow. This is a complete new world. For now, you can only try the firmware on the internal storage, replacing system and vendor image. In the time, i will port all previous things also for Nougat. ok zulu. thanks for all your work!! Thanks Zulu. How do you install Nougat for shield TV 16k V1.0? I have currently have [ROM][Full Android Marshmallow for Shield TV][v.1.5] installed. Thanks again. You must start the procedure with the 5.x stock firmware Nougat installed. Which stock firmware do we use? The latest firmware for Nvidia Shield 2015 is 3.3.0 release on 10/28/16. Hi, i just finished the install in my ex virgin Shield TV 2015 lol and everything went smooth without error, very straight forward. It was easier for me to uncompress Full Android Nougat for Shield TV_1.0.rar package to my C:\ADB folder so no need to chage directory. After the fastboot -w command i made a pause to download TWRP recovery from here: https://forum.xda-developers.com/shield ... 7-t3545544 (again uncompressed the package within C:\ADB folder) and also downloaded latest Supersu recovery flashable zip from http://www.supersu.com/download and moved it to C:\ADB folder. Then i typed: fastboot boot recovery.img command to start TWRP (not install). Once booted up in TWRP i needed a mouse only to be able to swipe when required, the first important swipe is to allow write to system (i was using a Logitech k400 keyboard+mouse combo but could not swipe with it). Next i went to Advanced option in TWRP and selected ADB Sideload to sideload Supersu zip in order to root the Shield TV with the following command: adb sideload SuperSU-v2.79-201612051815.zip .Immediately after that TWRP auto installed the .zip, then finally i just had to hit the Reboot System button. NOTE: The Shield rebooted but after 5 seconds it rebooted itself (looped) once again, that is just fine so do not get scared. In fact after Supersu installation you can see a note at the bottom saying it might loop a few times and that it could take minutes to boot. After that the Shield booted up just fine. 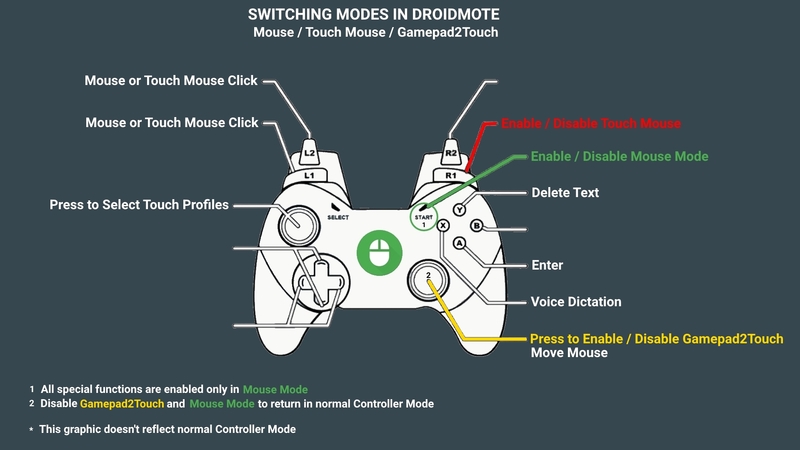 To have Mouse functionality with right stick like in stock but in all apps you need to install DroidMote Client and Server. Read the 2nd post for more info.